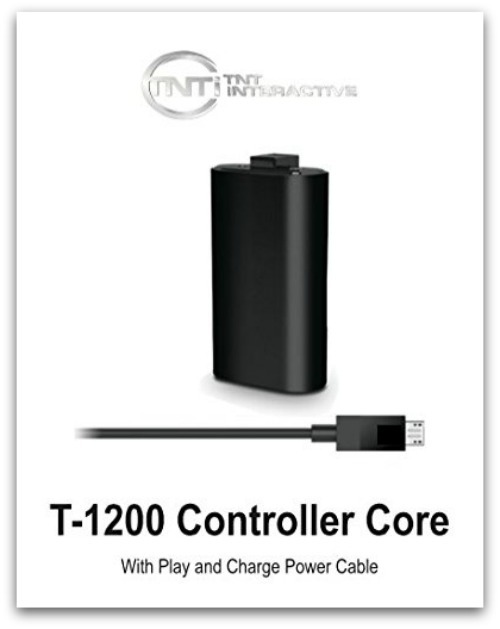 Although your Xbox One controller runs on AA batteries, it's so much nicer to have the Xbox One Rechargeable Battery Play and Charge Pack by TNT Interactive rather than burning through costly AA batteries. Even rechargeable AA batteries aren't as good, they don't last quite as long per discharge, and you have to remove them to recharge them. It's much easier to just plug in the charging cable when your juice is low. Words that any wife or mom wants to hear “Do we have any AA batteries”? The charging cable is sufficiently long to play from our couch (8 feet away from the TV). It takes about an hour for the initial charging to finish from whatever capacity percentage these come from the factory. 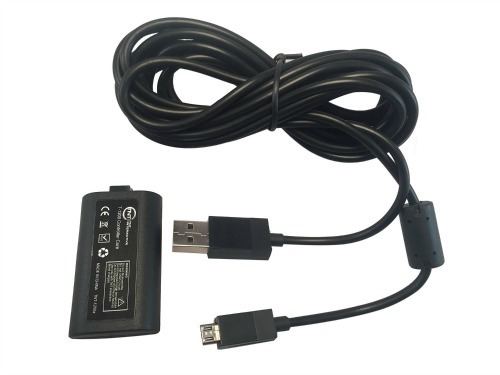 The charge cable is just a basic micro USB and interchangeable – bonus! The cable itself seems pretty high quality too and it snaps in with a very solid connection, which Mister Hubs likes. The Xbox One Rechargeable Battery Play and Charge Pack by TNT Interactive lists for $24.95 on Amazon and is currently on sale for $15.95.